Slaughterball Store – Brutal sports board game carnage!! Brutal sports board game carnage!! 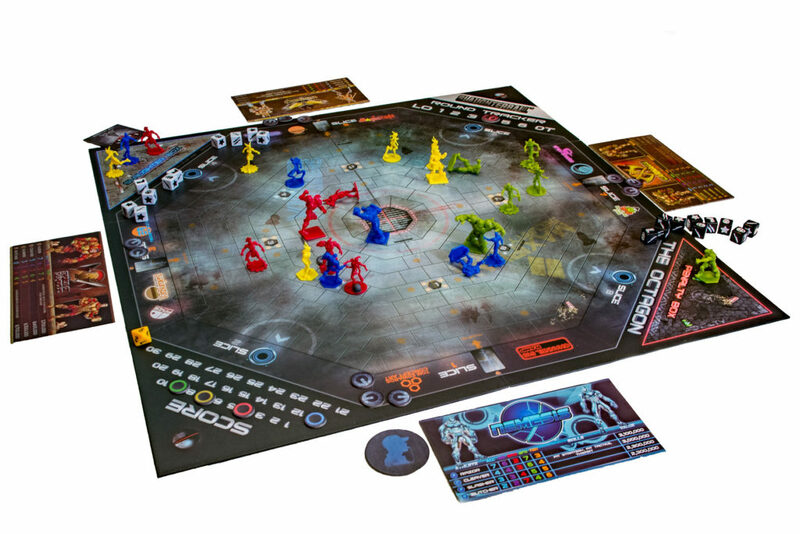 Slaughterball simulates a violent future sport of genetically engineered super-athletes. Two to four teams clash in a remorseless steel pit, striving for maximum carnage and conquest. You are the coach of a team of six neohumans, from the swift and fragile razor to the towering and furious butcher. Guide them in your merciless quest for victory, and make your opponents eat steel! The basic scrimmage rules are easy to learn but with enough strategic options to fuel endless hours of thrilling victories and agonizing defeats. Or try out the exhibition rules for more depth of play. Or commit to a full league season to catapult your team into the stratosphere of Slaughterball legend! Get crunchy and start shopping now! 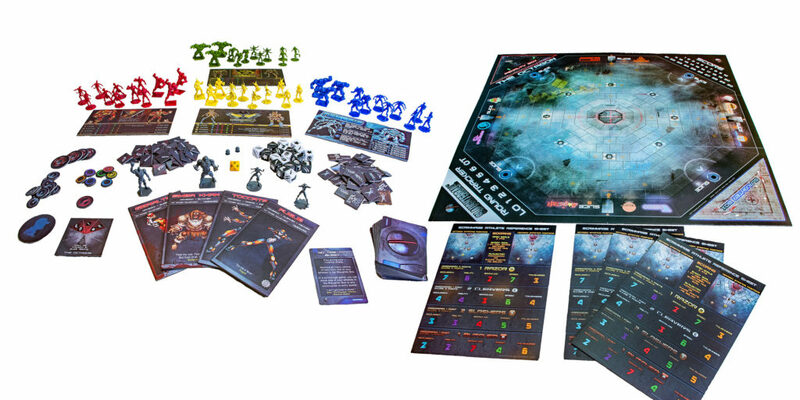 Fully supports 2-, 3-, or 4-player games with a 27″, lavishly illustrated, double-sided game board: one side is the Octagon for 2- and 4-player games and the other side is the Hexagon for 3-player games. Three modes of play: basic Scrimmage mode for learning with identical teams, Exhibition mode with asymmetrical teams possessing different traits and skills, and League mode where you can improve your athletes over several games. Risk-based scoring: score more points by choosing to take riskier shots further away from the goals. 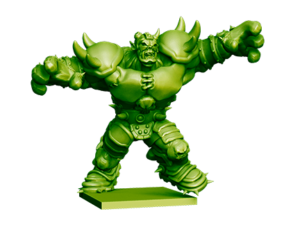 Instantly score additional points by injuring your opponents. 50 skills for athlete improvement, including Savagery, Awesome Brute, Immaculate Reception, Daunt, Thwart, and more. Underdog rules with Edge tokens to give you a chance against more experienced teams. League support staff: cheerleaders, mascots, physicians, assistant coaches, and agents. The Spike action, which lets you use the solid steel slaughterball as a projectile weapon to injure opponents.